The tradition of giving flowers after a dance or theater recital is centuries old, and it's still a great way to let your performer know she did an exceptional job. Before you go out of your way to locate a flower shop, call the theater to find out whether someone onsite sells flowers. Go for your favorite of several common flower varieties to offer the performer, or mix and match blooms to create a bouquet. Roses are the traditional flower given after dance recitals, reports Flag City Dance. Choose to present a single rose or a bouquet of six or twelve roses. Try to find roses that have been stripped of thorns, or keep thorny roses well-wrapped so no one gets pricked. 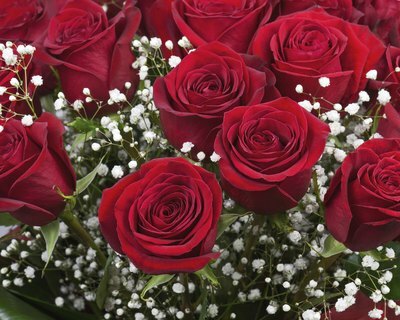 Give yellow or pink roses to a friend or family member, and save the red ones for a romantic partner. Carnations come in a wide array of colors, are inexpensive and easy to get at any time of year. This makes them ideal for presenting after dance recitals. 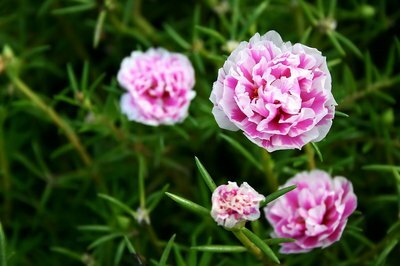 Pink carnations signify gratitude, while red ones mean flashy, according to About Flowers. These are good choices in a mixed bouquet after a dance performance. 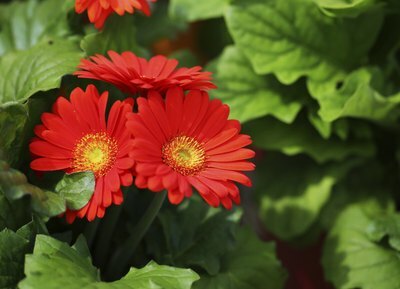 Like carnations, gerbera daisies come in an array of colors, including vivid pinks, oranges, yellows and reds. Dr. Dave and Dr. Dee recommend these flowers for men who may be embarrassed by more feminine blooms, but you can give these to female dancers, too. These flowers are shaped like daisies, with a ring of petals surrounding a center. They grow up to five inches wide. 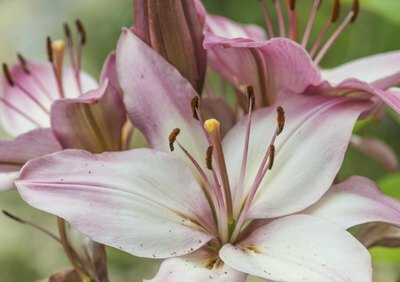 Oriental lilies are a big, bold flower with a fragrant smell. Lilies are suitable for male or female dancers. The "Stargazer" Oriental lily signifies ambition, notes About Flowers. Calla lilies, which mean regal, or Day lilies, which signify enthusiasm, make other appropriate choices for recital gifts. Be aware that oriental lilies have bright red pollen in their stamens, so keep bouquets wrapped in plastic to avoid staining yourself or your favorite dancer.